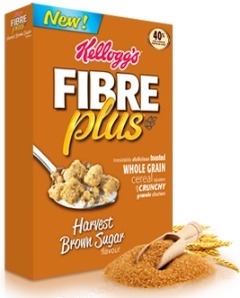 If you missed this freebie for new Fibre Plus Cereal the first time around, don't worry, it's back! Click on Free Sample at the top of the page and then Start to start the quiz. You'll have to fill out your mailing address and answer some silly questions like: What would you do if you saw a spider? What's your favourite activity? What's your ideal vacation? And finally, What flavour of Fibre Plus do you think you'd like? 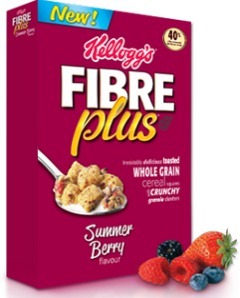 Fibre Plus Cereal is available in Summer Berry or Harvest Brown Sugar. Last time around I got the sample of Summer Berry. It was a small package and my kids ate it up quickly. A nice healthy snack!